This is a sponsored post written by me on behalf of Riondo Prosecco for SocialSpark. Who says that happy hour has to be at a restaurant or bar? Now that we have two kids, it can be tough to head out to a fun happy hour with friends. 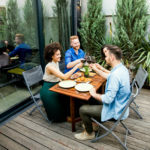 From lining up a babysitter to the extra costs involved, the thought of heading out of the house sans kids to grab a few cocktails with friends can seem like more work than fun. Instead, my husband and I enjoy spending summertime happy hour at home on our back porch. After turning on the music, we serve up appetizers, hang out with our kids, kick back and relax on our comfortable seating arrangement, and enjoy cocktails. 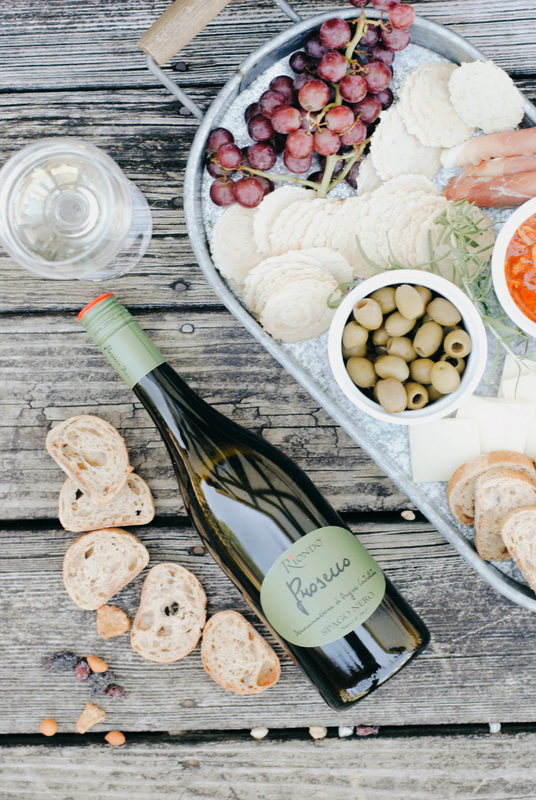 My husband and I are all about outdoor entertaining, especially during a summertime happy hour at home. We love spending as much time as we can outdoors, whether we are entertaining guests or just ourselves. But, when it comes to a summertime happy hour at home, we like to keep it simple, especially the food and drink options. 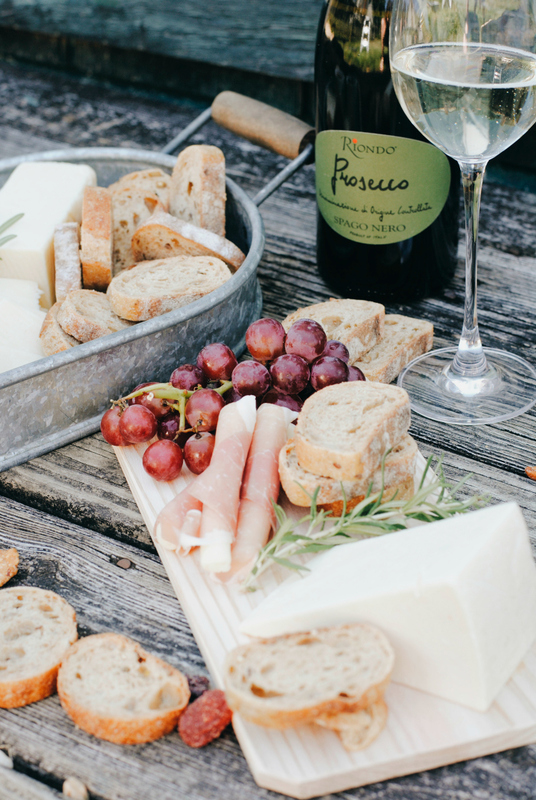 When it comes to hanging out with my husband or entertaining guests, you will most likely find charcuterie items in our refrigerator and pantry. I love putting together a charcuterie tray because the flavors are incredible, the look is beautiful, and the possibilities are endless. Another reason I love putting together a charcuterie tray is that it’s simple. Even though the tray of food might look elegant and overwhelming, the charcuterie tray is incredibly easy to put together. In 10 minutes or less, you can have a charcuterie tray that will keep you and your guests coming back for more. Here are some of my favorite tips for building the best charcuterie tray. 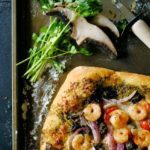 Since happy hour in our home can be spur of the moment depending on our day and mood, I love having the following food and drink options in our refrigerator and pantry for quick grab-and-go snacking and drinking as we celebrate happy hour. Olives, gerkins, and pickled vegetables are simple pickled items that pack a punch of flavor. Add apple slices (squirt lemon juice over the apple slices to keep them from turning brown), a bunch of grapes, and/or slices of figs to a serving platter. Be sure to think colorful, rustic, and refreshing when trying to decide on what type of fruit to add to the charcuterie tray. Try condiments like wine-based jelly, fruit-based jams, and mustard. These types of condiments can really kick up the flavor of the other food items that make it onto the serving platter. In the photos throughout this post, a bruschetta sauce is featured. The sauce is a mix of tomatoes and artichoke hearts, creating a flavorful and unique experience. 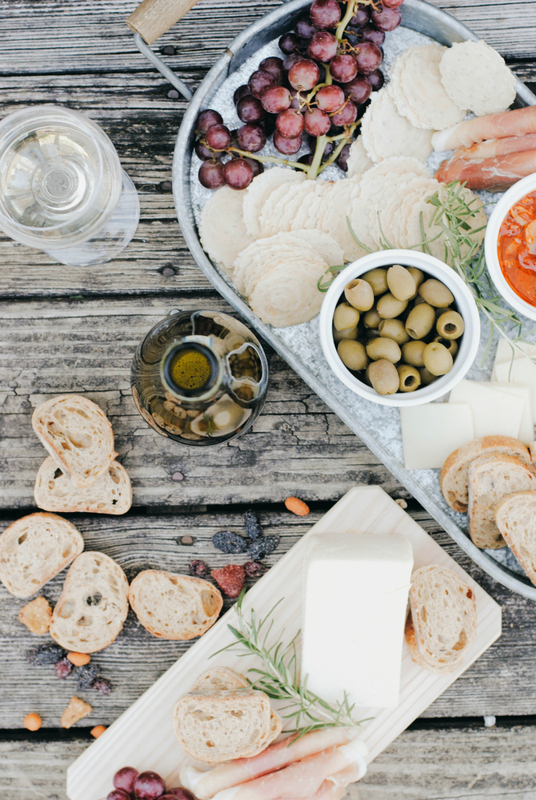 Whether you decide to garnish the bread with a slice of cheese or use it to scoop the bruschetta sauce, there are plenty of ways to utilize bread during a summertime happy hour at home. On a hot summer day, there’s nothing like a refreshing cocktail to help you cool down. I recently came across a Prosecco that I think is the go-to beverage of the summer. But first, what is Prosecco? Prosecco is a white sparkling wine from Italy. Like Champagne, the name Prosecco refers to a specific region and grape – in this case, glera grapes grown in the north-east Veneto region of Italy. Prosecco has taken off recently among consumers due to its approachable style – it is usually light, fruity, with some sweetness. 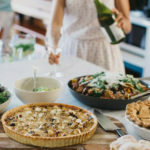 Long regarded as a more affordable alternative to Champagne, Prosecco’s niche has emerged among consumers seeking everyday sparkling wines they can feel comfortable purchasing often. 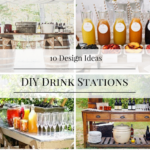 So, what is my new go-to beverage for a summertime happy hour at home? 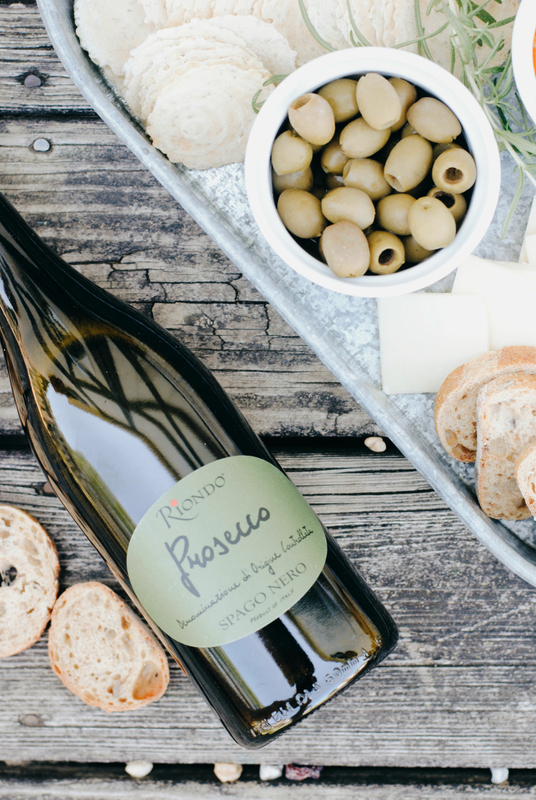 Riondo Prosecco is an authentic Italian import with an approachable consumer price point and perfect for summer, either with friends or alone. Riondo can be enjoyed by itself as a sparkling wine, or with complementary juices, spirits and garnishes. 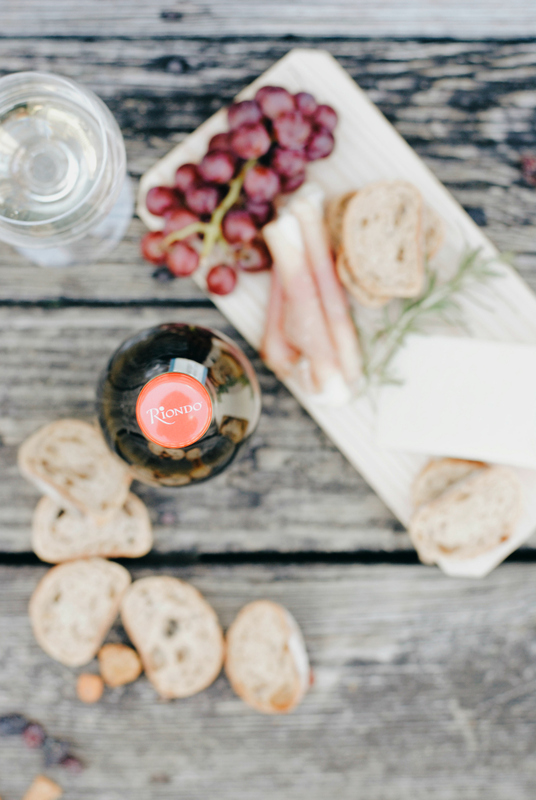 Simply put, Riondo makes summertime happy hour at home a bit more bubbly. Click here to learn more about Riondo Prosecco Cocktails. Place chunks of cheese and wedges of cheese (be sure to include a knife for easy cutting) on a serving platter. Think about adding a mix of hard and soft cheeses. You can even add a spreadable cheese so that guests can easily enjoy. Serve a variety of crackers during your happy hour at home. 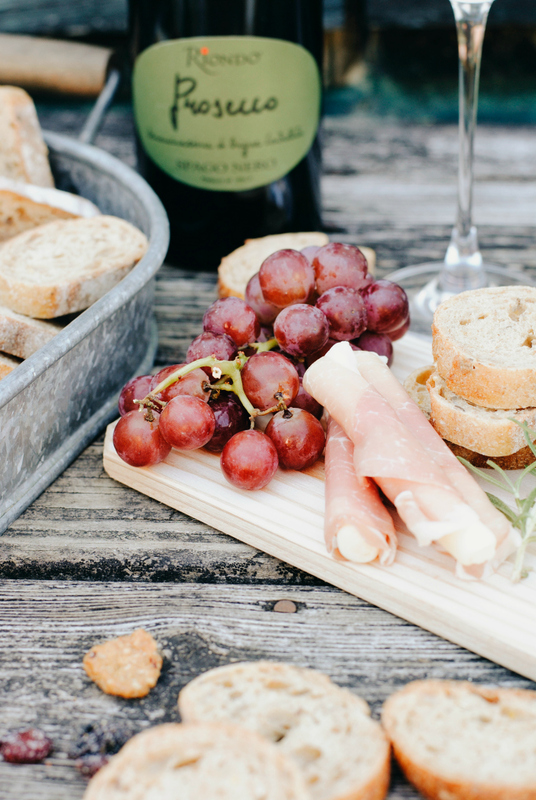 From wine breadsticks to flavored crackers, the possibilities are endless when it comes to adding a crunch factor to your charcuterie tray. 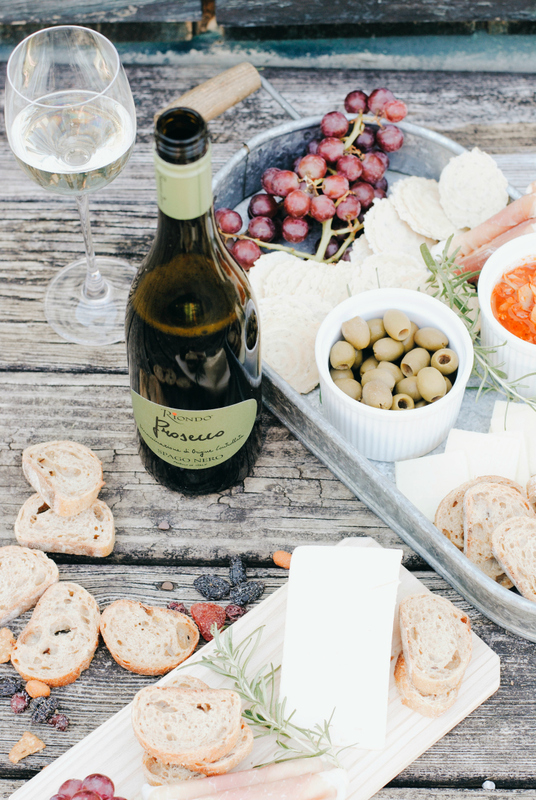 I recently came across rosemary flavored crackers that are my new favorite for happy hour at home. Having dried fruit like cranberries and apricots add a bit of a chew factor to the happy hour. Dried fruit is full of flavor and texture which means that it’s a great snack to offer. Mixed nuts and alcohol are complements. There’s nothing like the crunch of a good nut, not to mention the salty flavor, during happy hour. Plus, a handful of mixed nuts can be a great way to satisfy hunger since nuts are full of protein. Mix up the type of meat on the tray. Salami, prosciutto, and pepperoni are great options when it comes to adding flavor. These types of meat are familiar to most people and are extremely flavorful. You could even wrap the meat around cheese to create a simple yet elegant look that will be sure to please the taste buds. 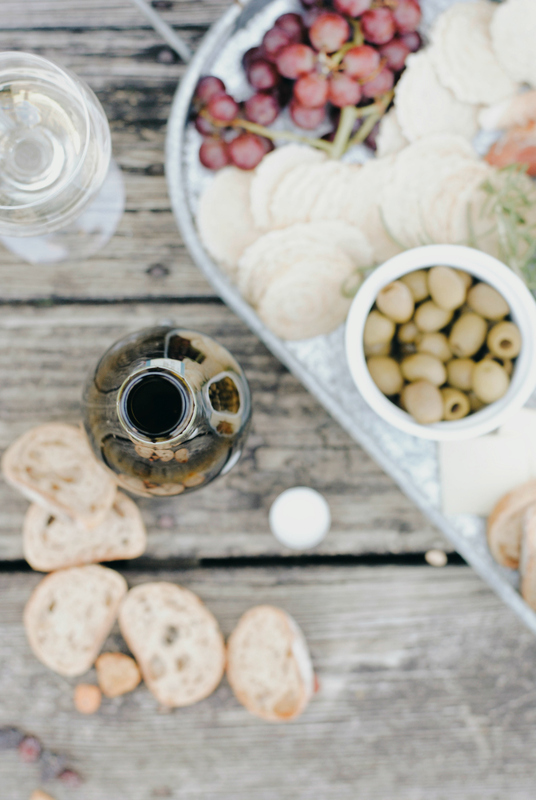 What are your favorite food and drink options for a happy hour at home? What’s Your Serving Style: Family-Style or Plated?